Like women, men do also have to take care our beauty; we also have beauty needs yet different from women. We do this to get noticed and stay looking younger longer. Doing this doesn’t mean you're gay but rather this only proves that you're a real man who has respect and care on your physical appearance. This is actually one way or good reason that we men should take good care of our self and overall health to look best. Remember, unlike women, they can hide behind make up that we usually cannot. Just recently, I got the chance to encounter and try these beauty regimen for men with 100% natural or no harmful chemicals from Mikayla's Boutique; one of Human Nature official distributor online where the products really came from. This is just more than soap. After trying it, you can feel the cleaning sense on your face plus the smell is really good. Nice cool sensation for the whole body and it is indeed refreshing. It contains deep-cleansing bamboo carbon known in East Asia as the “black diamond” for its powerful beneficial properties. 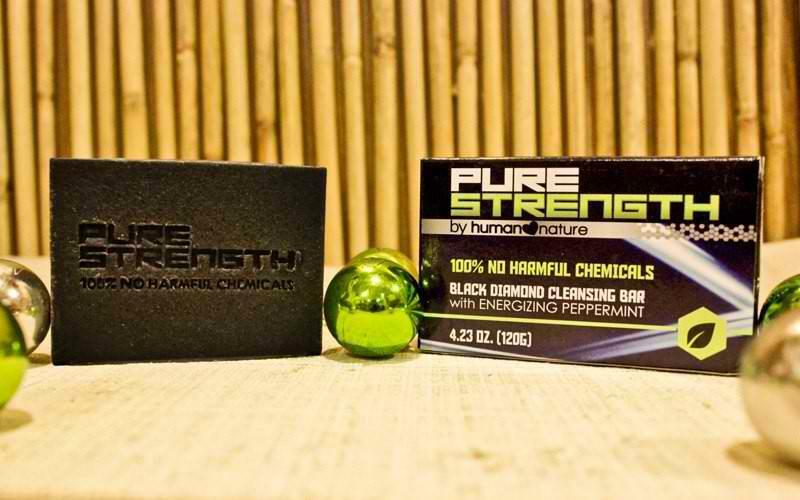 It’s charged with all-natural premium powerful ingredients and none of the compromising chemicals. One thing I like, it also helps you have a glower skin. 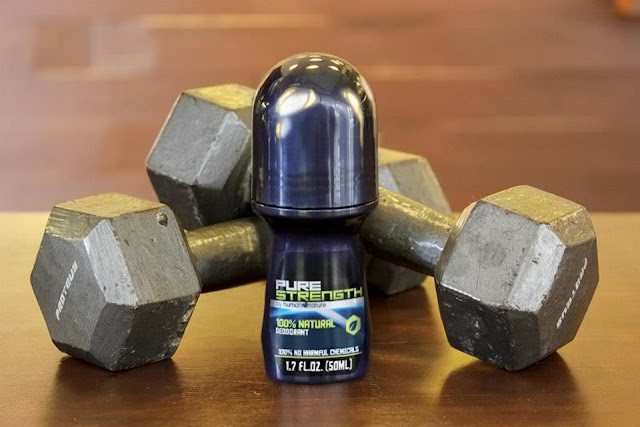 Pure Strength 100% Natural Deodorant uses only nature’s finest ingredients for the best and safest protection from body odor. For me, it has a strong smell but I don't know on your part how will you respond but after trying it once, it’s great since it’s really protecting you from underarm sweat and for unwanted smell. It contains none harmful chemicals. Rather, it is infused with powerful natural antibacterial ingredients plus bergamot and rosemary essential oils for a perfectly balanced, woody, naturally masculine scent. This one really works well and refreshing. Definitely helps you stay away from having an oily face. This product main goal is highly achieved. They usually have cool effects on their product but this one is different, it has a mint-y sensation every time you wash your face. 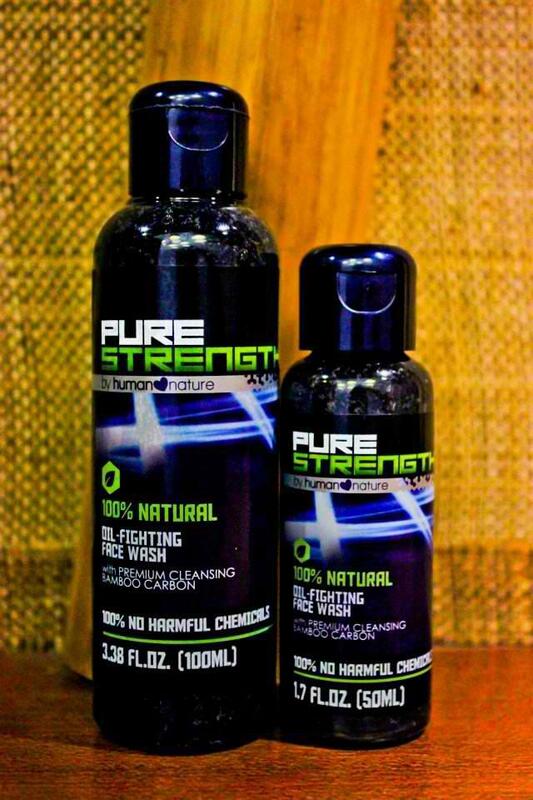 Pure Strength 100% Natural Oil-Fighting Face Wash with cooling menthol is specifically made to answer men’s skin care needs. It’s charged with bamboo carbon and bamboo scrubs to fight dirt, oil and other impurities giving you a clear, clean complexion without the compromise. These products are made naturally and are made to bring out the heroes within you. Beauty products like these are as much needed by men as by women. Skincare and other body products help men keep away dirt and harmful chemicals and microbes from their skin pores and body parts. Good body hygiene keeps you fit and healthy. I know men are quick, always on-the-go and easy but just because you’re a guy doesn’t mean your skin needs aren’t exactly the same as a woman’s. We'll better to think twice and think only these Human Nature Men's Care products. ...And now, for the giveaway, all you have to do is to do it all. We are serving you an easy giveaway mechanics for your own convenience. This I will personally monitor all entries manually. So meaning we're not going to use a rafflecopter widget. This contest will end on February 22, 2013 - 11:59pm; Friday. Winner will bag the Pure Strength Men's Care products featured above. Without further ado, here's the mechanics. Again, read carefully and follow everything for you to win. http://goo.gl/KNZZc @friend1 @friend2 Join @boutiquemikayla @iheartGEM Giveaway! Make for every share on Facebook and Tweet on twitter you have to mention the exact number of friends need and don't forget to tag/mention Pages Flipper and Mikaylas Boutique,so we track your entries. Only your first fb share and tweet are allowed to see on the comments below; 2nd and so on fb shares and tweets will be monitor via mentions on both social media. Share as many as you can but make sure to mention unique friends. This will increase your chances of winning. That's it. Good luck everyone.